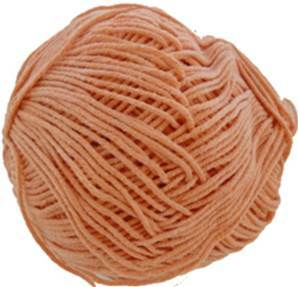 Sirdar Calico DK knitting yarn 710, Peachie, in a soft pale orange. Soft, lightweight blend of 60% cotton/ 40% acrylic, perfect for summer. 158m per 50g ball, machine washable. Use for any DK knitting pattern.